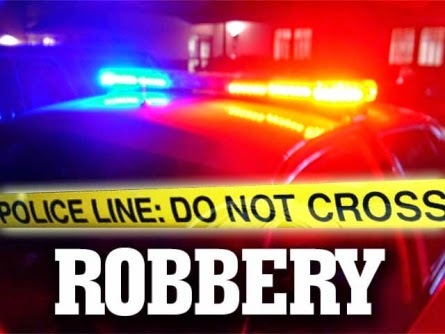 On Monday, January 26, 2015 at 2:55 p.m., Galloway Township Police responded to the area of Liberty Court in reference to the report of a strong arm robbery. Upon arrival police met with the 16-year old male victim who stated while walking home from school he was approached by two males on Liberty Court. The 17-year old suspect grabbed the victim from behind in a bear hug pinning down the victim’s arms. The 18-year old suspect told the victim not to say anything and ran through his pockets stealing his wallet that contained approximately $200 in cash. Police obtained a description of the suspects from the victim and quickly located Jemil Newsome in the area of Colonial Court. Newsome was positively identified by the victim and was taken into custody. Upon further investigation police identified the 17-year old male who was also taken into custody. With the assistance of a Galloway Township K-9 Unit the victim’s wallet was located in the area where the robbery occurred. A portion of the stolen money was also located in Newsome’s possession. Newsome was charged with robbery and lodged in The Atlantic County Justice Facility on $50,000 bail. The 17-year old juvenile male was also charged with robbery and released to his mother. The case is being investigated by Detective Casey and Officer Lopez. Why was a 16 y.o. who was coming home from school in possession of about $200.00 in cash?